This practical guide is intended to bridge the gap between a theoretical circuit diagram and relaxing to the sound of a reliable, well-built amplifier. One possible way of building an amplifier is to choose the most expensive components on offer, then assemble them on a custom-built chassis using that year's choice of designer wire. 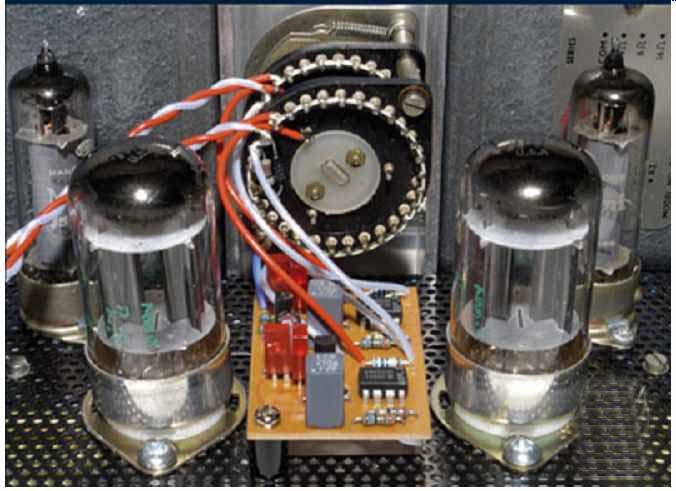 However, the author assumes that you are holding this guide because you want to know how to build a tube (valve) amplifier that is significantly better than you could afford for the same price ready-made. For that reason, some of the physics that you slept through at school will reappear, but with the valuable bonus that it will allow you to make reasoned choices that improve quality or save money -- possibly both. It is undoubtedly easier to do metalwork in a fully equipped machine shop, complete with folding machine, drill press, lathe, mill, and copious hand tools. Nevertheless, it is perfectly possible to do good work with a power drill in a stand and a few carefully selected hand tools. In addition to the standard techniques, a number of ''cheats'' will be shown that allow you to produce work of a standard that appears to have been done by a precision machine shop. This will enable your creation to be a thing of beauty that can be proudly displayed. The rules for good audio construction are not complex. It's just that there are rather a lot of them. Once the logic is understood, a good layout comes naturally. Even the most carefully considered designs need a little fettling once built. Test equipment ranges from cheap DVMs to oscilloscopes and spectrum analyzers with Gigahertz of bandwidth, to PC-based virtual instruments. They all cost money, but if you understand the operating principles, you can choose which features are worth paying for, which can be safely ignored, and how to use what you can afford to its best advantage. Startlingly, years of experience don't make the author any less frightened at the instant of first switch-on. Accidents do hap pen, but there are ways of minimizing the quantity of smoke. Sometimes, an amplifier is stubborn and just doesn't quite work properly, requiring genuine faultfinding. This guide is distilled from years of bludgeoning recalcitrant electronics, thumping metal, and grinding teeth at the price of test equipment.